The bear's mouth is conveniently open, ready to pop the bottle cap of your favorite beer. The bottle opener easily mounts to the wall with three screws (not included) and is perfect for indoor or outdoor use. 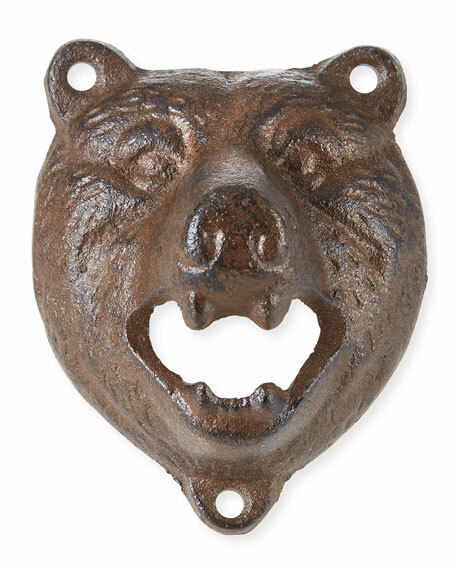 Men's Society bottle opener in bear head shape. 2.2" x 3.3" x 3.5". For in-store inquiries, use sku #2634594.